If you live in NYC or the surrounding area, you may be asking yourself, where is the best hair salon for bayalage? Imagine that you just came back from a warm tropical vacation and your hair looks like it’s been kissed by the rays of sun, with the perfect hint of highlights to warm your complexion. Sounds wonderful doesn’t it? Well, that’s exactly what bayalage, or balliage as it’s sometimes called, does for your hair without the tropical vacation. Bayalage is the latest trend in hair coloring that creates customized, natural-looking highlights that can be grown out without developing a noticeable or obvious root. The term bayalage meaning “to sweep,” in French, refers to the way the color is applied. With the bayalage technique, color is free-hand painted in a sweeping motion. The technique plays with the effects of light and shade to create multiple dimensions to the hair color. With bayalage. 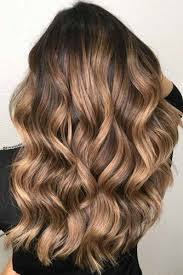 color is applied on the surface of the hair strand and not saturated in color until applied at the tips, ensuring a blended stroke of color. 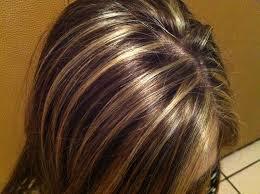 The result is a chunky highlight that gradually and naturally grows out. Many people prefer bayalage over the traditional, old-school highlighting technique that adds uniform highlights to the hair using foil or caps. This is because bayalage looks more like the sun naturally kissed your hair and will look more natural as it grows out. Is it Only For Light Colored Hair? The beauty of bayalage is that it can be used on all hair colors (i.e. blondes, brunettes, and red heads). If you have light colored hair, a technique called “reverse bayalage” is used. 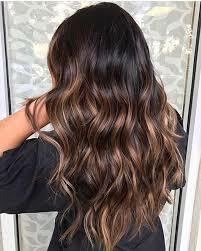 With the reverse bayalage technique, instead of taking dark colored hair and painting it with highlights, light colored hair is painted with darker strands, creating hair with depth and dimension. The key to this look is selecting hair color a shade darker than your current hair color and then painting the dark strands above and below the lighter colored hair. In addition to being able to use bayalage on all colors of hair, bayalage can also be used on all hair textures (i.e. curly, straight, or wavy), and on any length of hair (except for pixie cuts)! What’s more, bayalage can be a great way to change your color without doing a massive color overhaul and it can be used to draw attention to or draw attention away from features on your face. What About My Grey Hair? So, who isn’t a good candidate for bayalage? Possibly, someone looking to completely cover grey. The bayalage technique can be used to blend grey but isn’t the best choice for someone wanting full coverage. The time it takes to do bayalage depends on the depth desired. A few small highlights (aka “babylights”) can take a few minutes. Whereas a multi-tonal, triple layer bayalage process can take up to 3 hours! Although bayalage can take more time to apply than traditional color, some say it’s well worth it because of the time you save on touch-ups and the money you save on salon visits, in the long run. 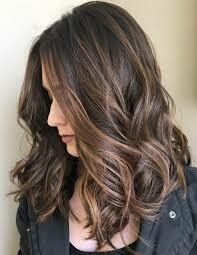 For the longest lasting bayalage, it’s recommended that you go for a “babylight,” because it is the most subtle. If you are interested in getting the bayalage look for yourself, it’s advised that you ask to see a portfolio of your stylist’s experience with this technique because bad bayalage is difficult to fix. Contact us today to schedule an appointment with Aaron Emanuel, and get a perfect bayalage with the best hair salon in NYC! 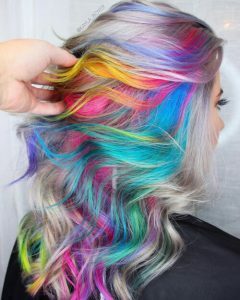 Fantasy hair color has been big news for a number of years now. 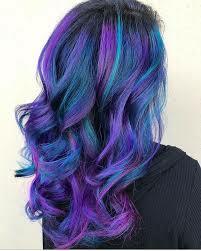 No longer the reserve of punk and anime subcultures, all kinds of people with all kinds of fashion styles have been trying out bold, unnatural hair colors, and many have completely fallen in love with the feeling of having eye-catching rainbow shades of hair. One important thing to know is that you will need very light hair for the colors to show up as they should. 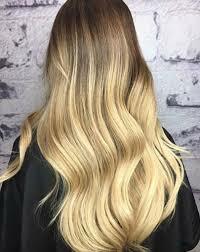 If you are not currently at a light blond shade, then it may take one or more sessions of bleaching to prepare your hair for a fantasy color. Note that the colored hair dye itself isn’t damaging – these dyes are made of natural pigments suspended in a conditioner – but the process of getting a bold color can be if you are starting out with dark hair. Pastel shades obviously require the very lightest starting color – you can only really get silver, candy pink or baby blue on platinum hair. 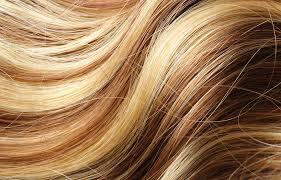 A mid blond can be enough for some darker colors, however, like deep purples, navy blues, or fiery oranges. Fire engine red, ocean blue, rose red, fucshia, magenta, turquoise and even neon pink are some great choices if you want to make a statement, and are all easy to achieve on light hair. What you need to consider here though, is that red and blue pigments can be among the hardest to remove from hair. While crazy dyes tend to be labeled as temporary – they fade out over a few washes – some colors will leave behind a tinge or remain at a faded state rather than washing out completely in the time promised, and this depends a lot on your hair’s condition. This isn’t a reason not to choose these colors but be aware that you may need to dye over them after they fade, and that they aren’t the best choice if you absolutely need to look ‘normal’ again by next week! It is possible to dye your hair these colors at home, however to be sure to get the result you want while keeping your hair in good condition, make an appointment today at the best hairdressers in NYC!